Now through Sunday September 30th, save 20% on EVERYTHING in the Barefoot Books store when you use the discount code SEPTSALE at checkout! This includes books that are already on sale, such as the Barefoot World Atlas and Ruby's School Walk! Start your holiday shopping NOW and save big! I just made my third and final donation to the Tesfa Foundation to support School #3 and School #4 in their 5x3 initiative...and I am pleased to report that I was able to donate a total of $186 to Tesfa thanks to everyone who purchased Barefoot Books to Build Schools in Ethiopia! See below for a list of everyone who helped make this fundraiser a success. My fundraising event is over, but you can of course still donate directly to the Tesfa Foundation if you would like to support their amazing work. And you can also still buy Barefoot Books to support literacy projects in Ethiopia - I always have a fundraising event for Ethiopia Reads (a partner with Tesfa on bringing literacy to Ethiopia) on my Barefoot Marketplace, and I donate 20% of sales that come through that event to Ethiopia Reads. I usually make my Ethiopia Reads donation at the end of each year, so there is plenty of time to purchase Barefoot Books for a good cause. I have another fundraising event for humanitarian projects in Ethiopia coming up soon, stay tuned for details! And if you are interested in setting up your own Barefoot Books fundraiser for a cause or organization that you are passionate about, please do not hesitate to contact me about it. 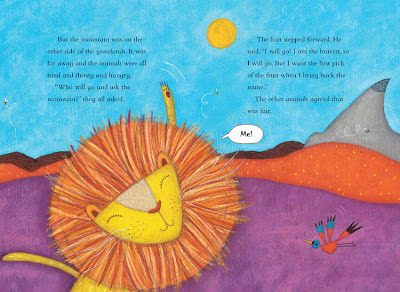 ...who purchased The Barefoot Book of Dance Stories from me at a local event! I knew that she and her girls would love these dance stories from around the world, which is why I recommended it to her when she wanted to make a purchase at the event. I'm so happy that now her family gets to enjoy even more Barefoot Books with this prize! Thank you to everyone who made a purchase during the giveaway - I hope you are enjoying your new books so much that you all feel like winners! If you didn't win this time, make sure you head over to my Barefoot in Boston Facebook page - I am going to do a super surprise mystery giveaway over there once the page hits 150 LIKES, and I think you'll really enjoy what I have planned for this one! One way that you can tell a Barefoot book from any other book is the absolutely take-your-breath-away artwork in a book from Barefoot. 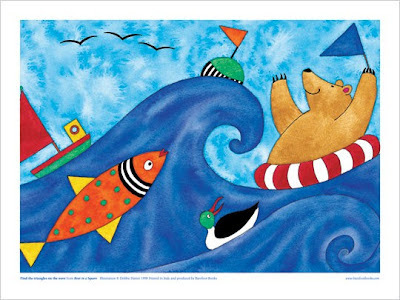 When Barefoot is developing a new book for publication, they search the world for the very best artist to do the illustrations for that book. I got a glimpse inside the process of bringing a book to publication at the annual Ambassador conference last June, and I can tell you that the Barefoot editorial staff pay just as much attention - if not more - to the artwork as they do to the story; they do not hesitate to go back to the artist and ask for changes to the artwork to make sure it is as beautiful and as stimulating to the imagination as our children deserve. 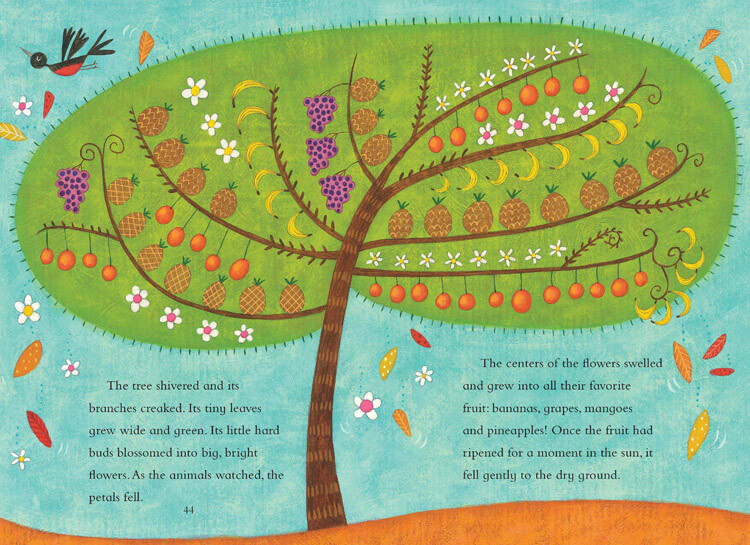 The end result is books that are visually appealing as well as beautifully written. If you have ever thought to yourself that the artwork in a particular book would look fantastic hanging on the walls of your home, now is your chance to make that dream a reality! 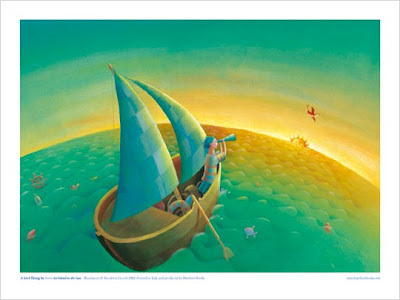 Barefoot is currently offering a selection of artist prints for the unbelievably low sale price of $4.99 each. 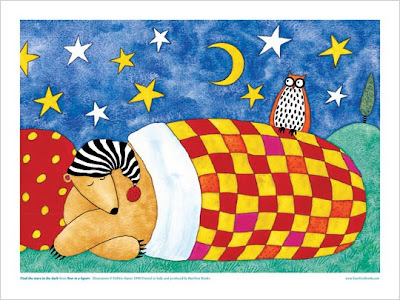 The prints are approximately 11x14 inches, are flat-packed on cardboard and shrink-wrapped with autobiographical information about the artist, and are normally priced at $14.99 each (yes, that's a $10 savings on each print!). I've bought several of these prints already; I'm planning to frame some of them to hang in Elfe's room, and to give others as holiday gifts to nieces and nephews. Don't you agree that these are simply fabulous? Which one is your favorite? I have several of these in my current inventory, so if you are a local customer and would like to purchase one, please get in touch to see if I have it in stock - an in-person purchase by Saturday will enter you into the Back-to-School giveaway too! A few days ago, Barefoot Books was featured on Mothering.com in an article titled Raising Imaginative Children: A Grassroots Approach. 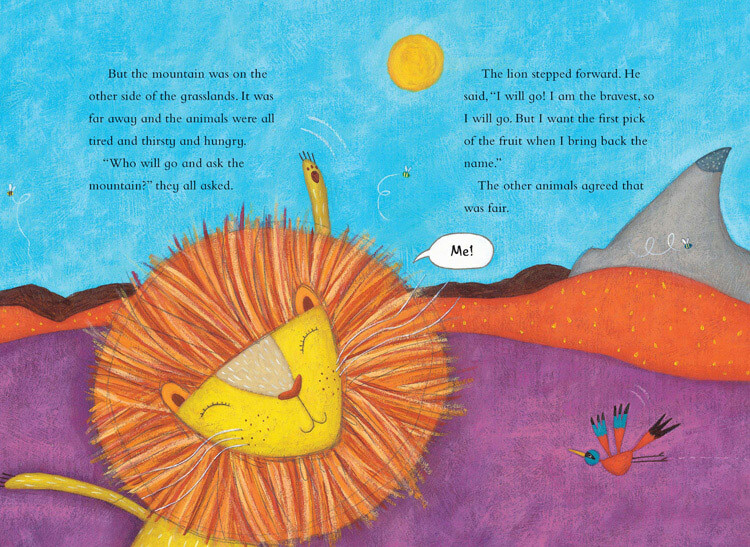 It's a great post, highlighting what makes books from Barefoot so special and how they can help your children learn so many important skills. There are also some nice tidbits of advice for adding a little creativity to your daily routine with kids. I love my Barefoot Books Ambassador business - learning new skills every day, helping families provide beautiful multicultural books to their children, and earning extra income to provide a good life for my own child. If you would like to join Laurie and me on this Barefoot journey, please contact me - and read more here about the Ambassador program and why this month is a great time to join! 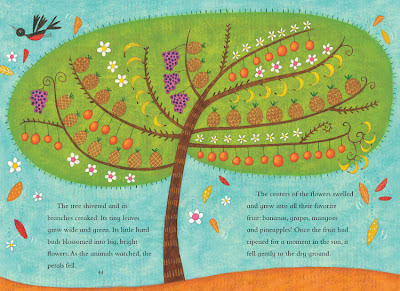 Ruby's School Walk - our very favorite Barefoot heroine from one of our favorite Barefoot artists, Miriam Latimer. Ruby is brave and strong on her walk to school, confronting crocodiles, tigers, witches, and ghosts...but she needs her mom to help her be brave enough to face a day of adventure once she gets to school. The hardcover version of the book is usually $16.99 but is available for $12.99 through the end of September - and the paperback version has just recently been released for the very affordable price of $7.99. 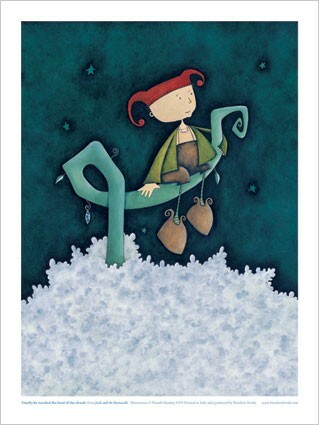 The Boy Who Grew Flowers - Rink's whole family is considered strange by the townspeople and Rink mostly keeps to himself at school, not revealing his special talent to anyone - when the moon is full, he sprouts flowers all over his body. But then a new girl arrives in class and Rink takes a chance by inviting her to the school dance; when he reveals his secret, he discovers that she has a special talent of her own! I adore the happy ending to this story, and I know you will too. This book is normally $16.99 in hardcover, but is on sale for $11.99 through the end of the month - and it also has a brand-new paperback version available for just $7.99. 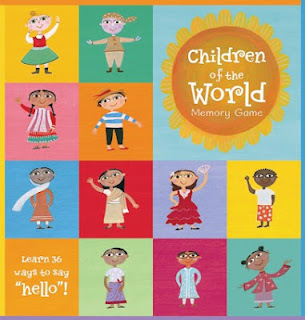 Children of the World Memory Game - based on the fantastically fun singalong book If You're Happy and You Know It. Match the girl and boy pairs from each country, and learn how to say "hello!" in 36 different languages while you're at it. For children ages 4 and up. This is usually $15.99 but is on sale in September for just $11.99. 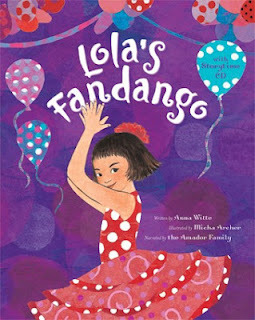 Lola's Fandango - Lola is another of our favorite Barefoot heroines because she is so spunky and persistent! Lola finds her mother's old flamenco shoes in the back of the closet, and convinces her father to secretly give her lessons in the dance. While learning how to count the rhythms and move her arms and stomp her feet just the right way, she also learns a thing or two about herself along the way. 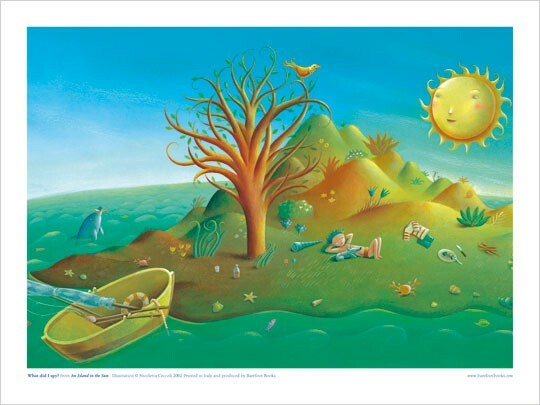 We often listen to the story CD from this book, with perfect narration by the Amador family. The hardcover version is normally $16.99 but is available for $12.99 during this month. 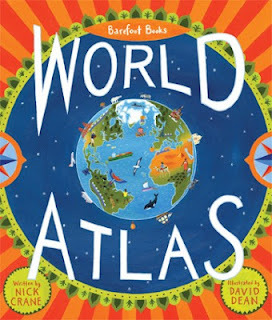 The Barefoot Books World Atlas - I saved the best for last! I have gushed and gushed about this book before, both here on the blog and on Facebook, so I really think you should take advantage of this sale - the Atlas is usually $19.99 but you can have it for just $15.99 through the end of September. Buy one for every child in your life, as well as any adults you can think of who love to learn more about our world! There are several other items on sale this month as well, but these are the ones I highly recommend. Start your holiday shopping now with this September sale! The Tortoise's Gift is #1 in the new Animal Stories series. 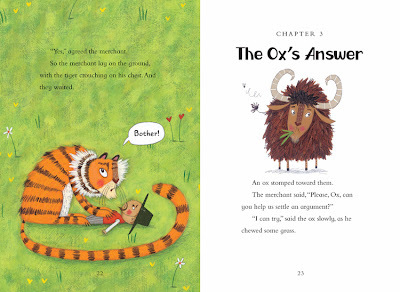 It's an easy chapter book in paperback format, perfect for your new reader who is developing confidence or for reading aloud with your pre-reader. 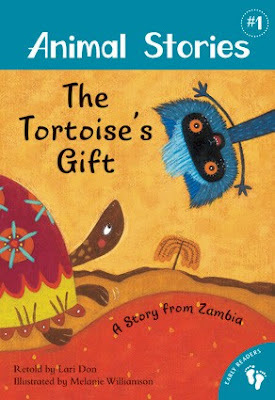 This story is from Zambia, retold by Lari Don and colorfully illustrated by Melanie Williamson. When the rain stops falling one summer, the animals get hungrier and thirstier....and then they remember the story of the wonderful tree that will produce fruit for them if only it is asked by name. They find the tree, but no one knows the tree's name! They think the wise mountain knows the tree's name, but which animal can make the journey all the way to the mountain and come back without forgetting the name the mountain tells them? 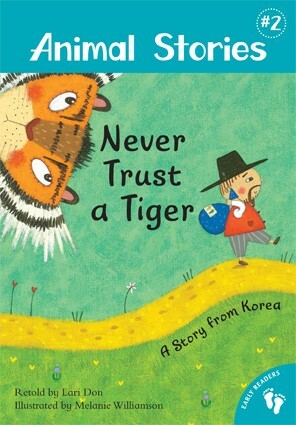 Never Trust a Tiger, a story from Korea, is #2 in the Animal Stories series. 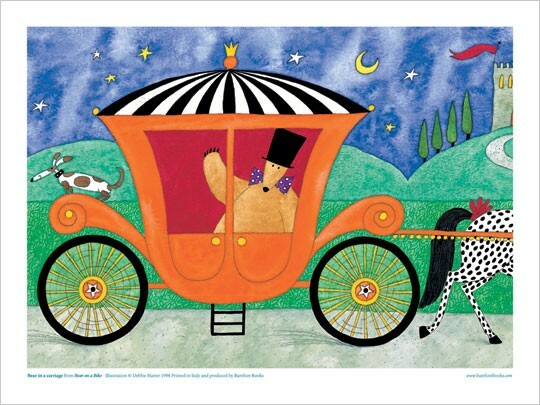 It is also retold by Lari Don and illustrated by Melanie Williamson, and is also perfect for early readers. The merchant helps a tiger out of a hole, but then the tiger wants to eat the merchant! 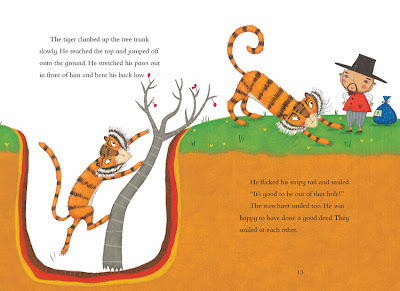 Should good deeds always follow good deeds, or is it fair for the tiger to eat the merchant? The merchant and the tiger consult several passers-by, but they all give a different answer to the question. Does the merchant manage to escape? You will have to read the book to find out! These two Animal Stories join Barefoot's Monster Stories as chapter books for early readers, and I can't wait to see what's next for this category - since Elfe will very soon be among the ranks of kids just learning to read on their own! 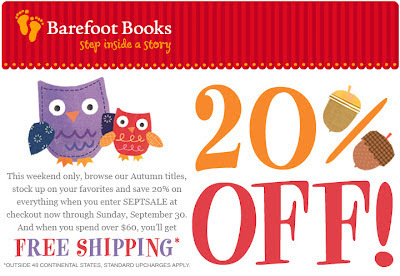 Don't forget that if you make a Barefoot Books purchase from me, either online or in person, before September 15th, you will be entered to win a $25 Barefoot Books gift card and a hardcover copy of Ruby's School Walk. See all the details here. Have your kids gone back to school yet? I know a few schools around here that have already started, but in this area most schools don't start until after Labor Day...I've still got a week at home before Elfe goes back to school, and I am planning to make the most of it - cleaning and organizing the house, and having playdates with classmates Elfe hasn't seen all summer. I am going to help you make the most of the back-to-school season too - by offering a Barefoot Books giveaway! Everyone who makes a Barefoot Books purchase, either through my on-line shop or in person, between now and September 15th, will be entered for a chance to win a $25 Barefoot Books gift card AND a hardcover copy of Ruby's School Walk. 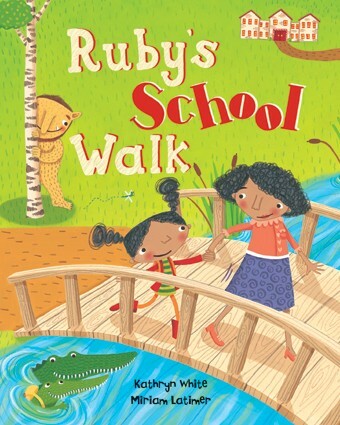 Ruby is brave and strong on her morning school walk - facing down tigers and witches and crocodiles - and then her mom helps her find the courage to face a day of adventure at school. Ruby is one of our favorite Barefoot Books characters, and Ruby's School Walk is the perfect book for this back-to-school season. When you enter the giveaway by placing an order through my website, remember that you receive free shipping for orders over $60 and that you can also receive a 20% discount on your order by using the discount code TWENTY12 when you check out (you can use this discount code once before the end of 2012). Orders must be placed before 11:59PM Eastern time on September 15th, and orders of any size will earn you an entry into the giveaway. If you are located in the Greater Boston area and would like to enter the giveaway by making a purchase in person, please contact me at 617-359-1774 or Liz@ReadingBarefootinBoston.com to place your order. To earn an entry into the giveaway through an in-person order, you must contact me before noon on September 15th. I always offer free shipping for local orders of any size, but the TWENTY12 discount code can only be used for on-line orders. Place your order today and you could win a $25 Barefoot Books gift card AND a hardcover copy of Ruby's School Walk - good luck to all who enter!